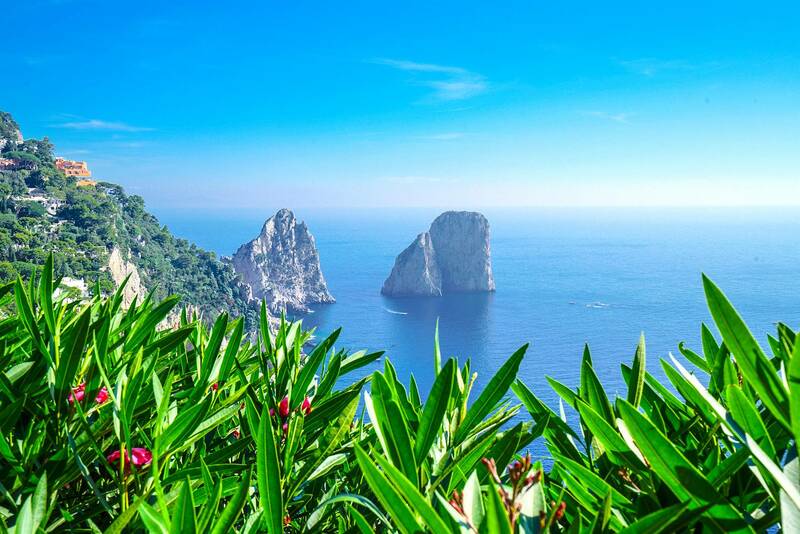 A day completely devoted to the visit of Capri, to explore the endless wonders of the most beloved island of the world. 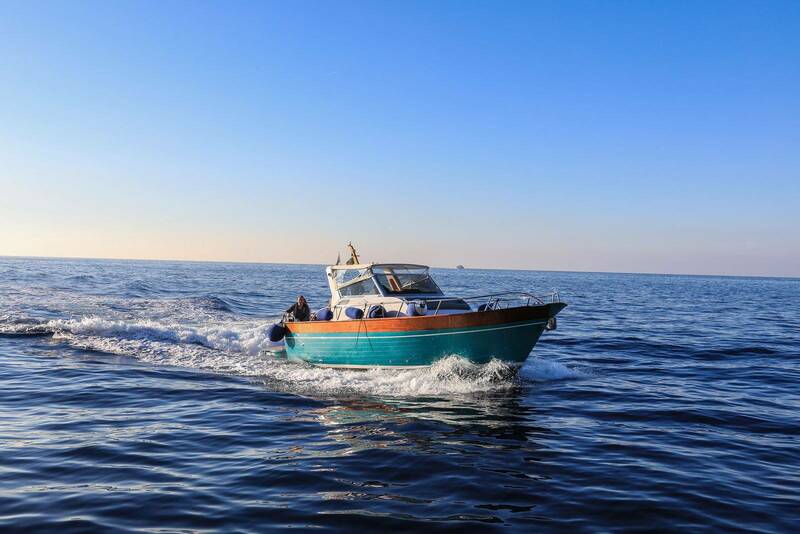 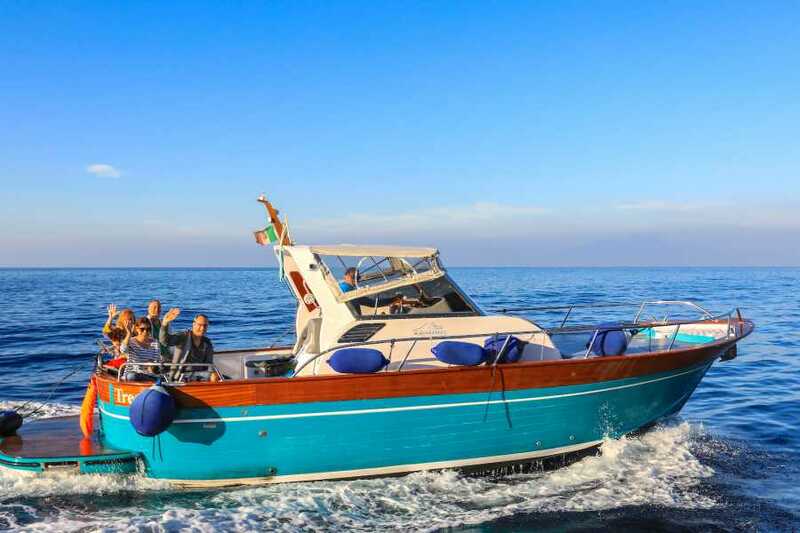 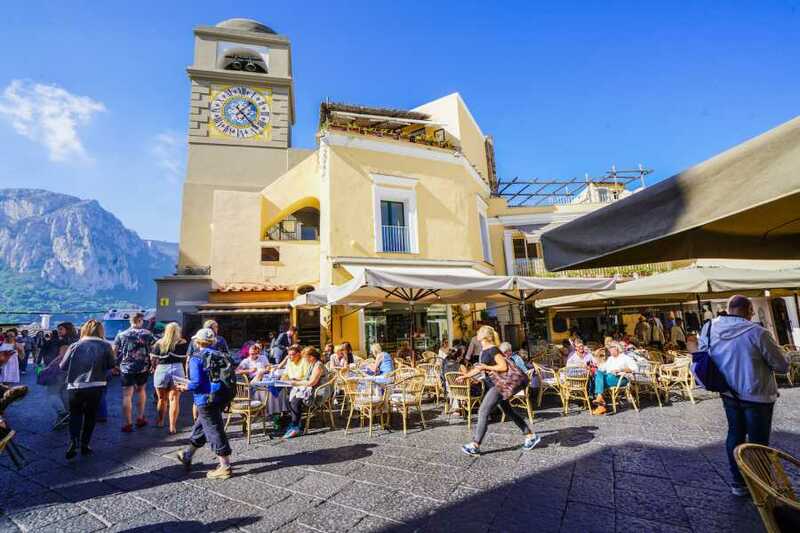 You will get on a typical Sorrento boat with a small group of just 12 passengers and a licensed guide that will accompany you for the entire day! 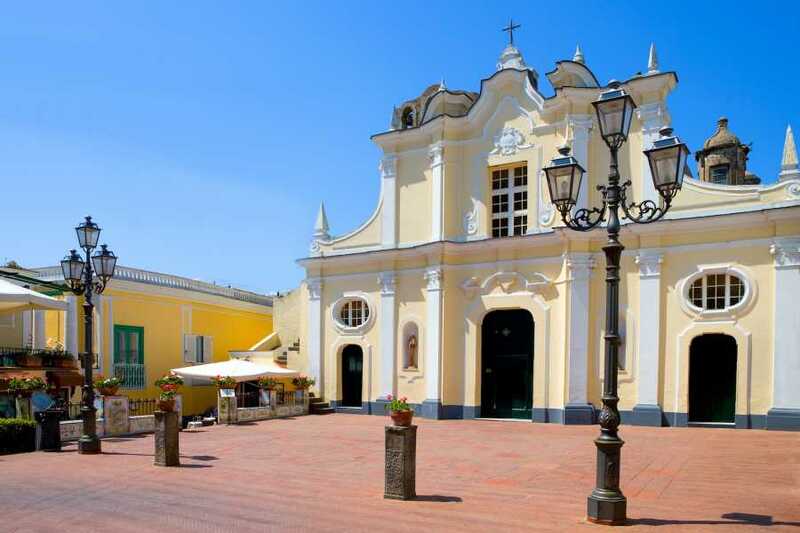 Pick-up from your hotel and transfer to the port of Piano di Sorrento. 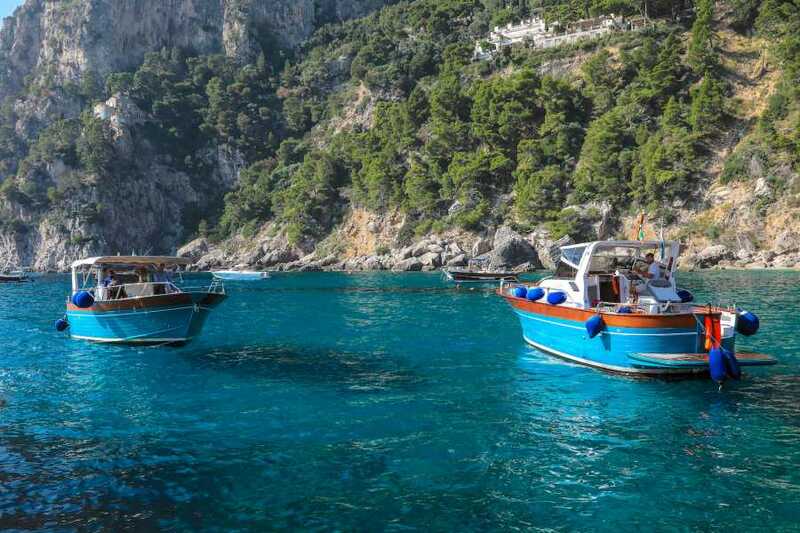 Departure to Capri, sailing along the Sorrento Coast. 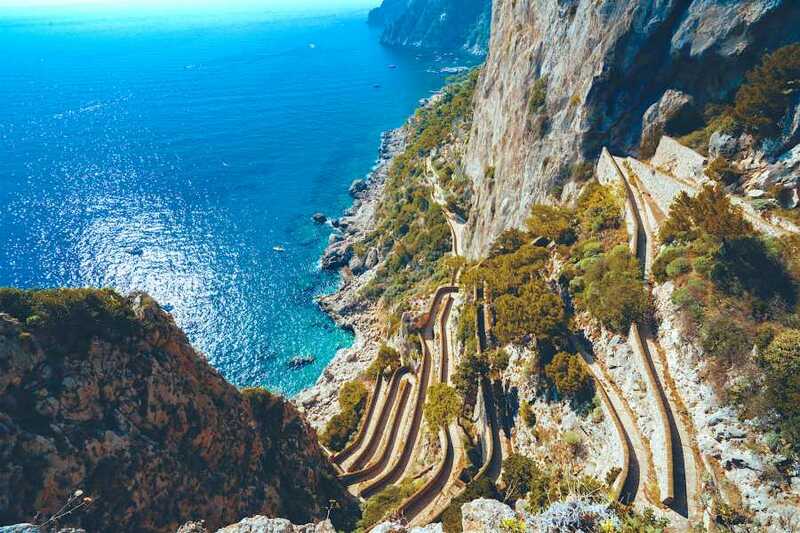 Along the way, you will admire the ancient fishermen village of “Marina Grande”, the ruins of a Roman villa near “Bagni della Regina Giovanna”, the natural waterfall that flows from the rock, and other interesting attractions along the coast. Arrival to Capri and tour of the island by boat with stops to visit the Marvellous Grotto, the White • Grotto, the Green Grotto, and the Blue Grotto*; along the way you will admire the Natural Arch, the Villa Curzio Malaparte, the Faraglioni rocks and the Lighthouse of Punta Carena. 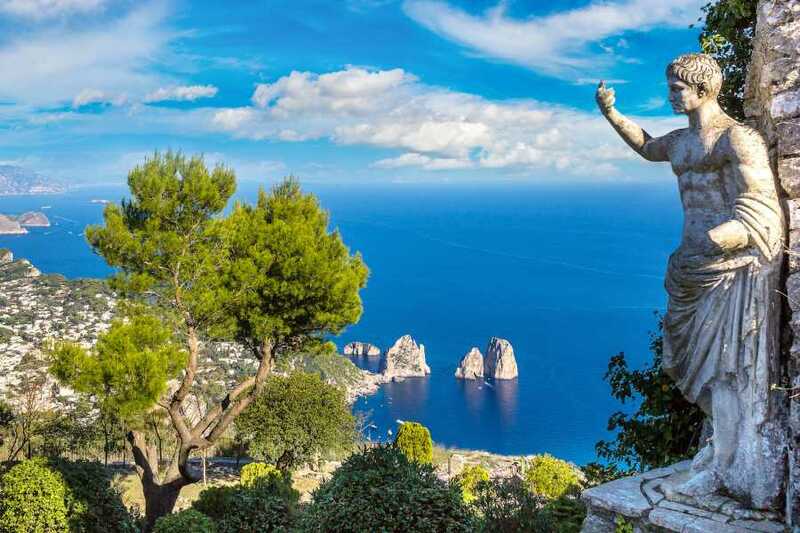 Mooring in the port of the island and start of the guided tour of Capri and Anacapri with transfer by minibus and free time to enjoy the island. Return to the port of Capri, where your guide will be waiting. Departure from Capri to Sorrento with hot chocolate and cookies on board. *The visit to the Blue Grotto is subject to the sea and weather conditions. - Hot chocolate and cookies on board.